Car servicing that pays attention to every detail is something you have to indulge in once in a while if you own a car. The best way you can give a treat to your car is by taking it through a routine check, and more frequently as your car ages and gain more mileage. And if you think that car serving may not be that necessary, then think again. Having your car serviced regularly is putting your safety first and saving your money in the long run. A well serviced car runs more efficiently, smoothly and more effectively. your car oil you can as well service it at home. Whether you choose to take your car to be serviced by a trained mechanic or you choose to service it by yourself, here are the major parts that needs to be check and serviced. should check the oil filters and if need be you should replace them. Besides, check if there are any signs of oil leaks, and if there any significant leakages let a trained mechanic fix the leakages. Of equal importance is the engine radiator. It keeps your engine cool and running effectively. You should begin by checking the radiant coolant cap seals as well as hoses for any signs of leakages. Ensure that hoses are firmly secure and are in good condition. If your car operates with an electric fan, start and run it to examine if it is in good condition. Also check on the alternator belt or fan to ensure that they are firmly secured. You can adjust where possible or consult with a technician where necessary. If you haven’t changed your air filters for a while, this could be an opportunity to do it. Equally check on the sparkplugs and change them if they have surpassed the recommended millage. Lastly you can check the condition of the under-tray and ensure that it is in a good condition. 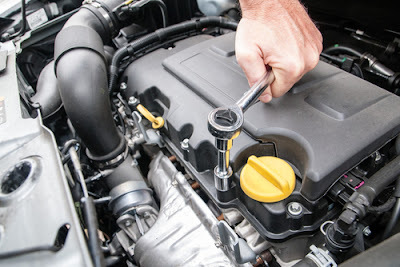 The engine is a major component and need to be thoroughly checked during a car servicing procedure. of a shaft. Finally, if your axle runs with oil remember to top it up. Your car servicing won’t be complete without checking on the electrical system. Run a test on the exterior lights, horn, and dashboard lights and establish if they are operating well. Examine the battery for any signs of battery acid leaks and if it is firmly secured. Oil the battery terminals only after ensuring that the battery is in a well working condition. It is highly recommend to top up your battery if you are using the units that are non-sealed. End servicing your car electrical system by testing if the starter motor and charging alternator are in a perfect condition. Steering and suspensions are prone to wear and tear. It is advisable to start by checking for any signs of damage or corrosion. The wheel bearings should not show any sign of roughness or any excessive movements. If you are a trained mechanics you should undertake a bounce test for the shock absorbers but if you are servicing your car at home you should consult a mechanic if you suspects that the shock absorbers are in anyway faulty. Apply grease on the movable parts of the suspension and the steering. 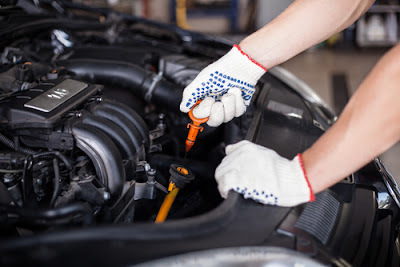 It’s the rule of the thumb to check for wear and tear on your brake pads, brake shoes as well as establish if there are leaks and corrosion on the brake hydraulic system, hoses, brake cylinders, and the connecting pipes when doing a comprehensive car servicing. Since the brake system has multiple movable parts ensure to adequately grease between the joins and secure the brake callipers. 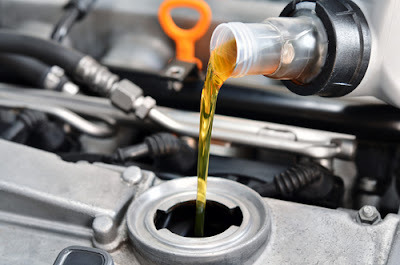 If your car servicing is in a garage, it is recommended to perform the fluid boil test for the brake fluid and have it replaced if it doesn’t meet the recommended level. If the brake fluids are in good working conditions top up to the appropriate level. Your tires are subject to wear and would need to be replaced someday. However before you replace them always check on the conditions of threads, adjust the pressure and nut torque to the recommended levels. Check if the wheels are correctly balanced. Remember to check the condition of your spare wheel too. 8. Vision Having a clear vision is essential for proper driving and your safety. As a result, you should check for proper functioning of front and rear windscreen wipers. At the same time check if there are cracks or chips on the windscreen. Lastly, check if all the mirrors are well positioned and are working appropriately. electric or hydraulic operated ascertain that the entire system is seamlessly operating. Do not forget to lubricate your door hinges. Car servicing won’t be really complete without taking your car to the road. Taking your car for a spin gives you the chance to really know if your car is in an excellent condition. If you have carefully followed the car servicing procedure, I bet your car will be in a perfect state and you can ride with true peace of mind.